Does the CBD industry have a labeling challenge? American consumers may have gotten used to the old adage “what you see is what you get” when it comes to ingredient labels. 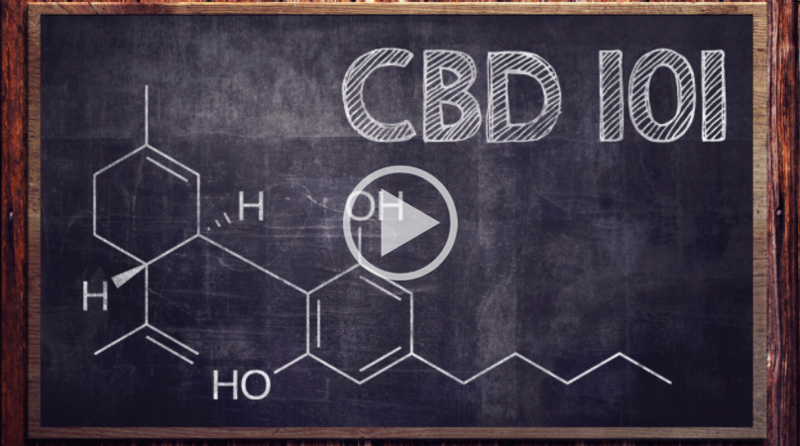 While most CBD companies create a reliable product, some studies have shown that certain companies’ CBD product labels either under-represent or over-represent the amount of CBD contained within. While this issue is not an epidemic, it is cause for further education on CBD product labels, so you can be an informed consumer. What’s Going On With CBD Products? From 2015 to 2017 the FDA sent 44 warning letters to CBD companies, some multiple times, whose labels were found to be inaccurate or misleading. Most recently, a study published by the Journal of the American Medical Association found that out of 84 products purchased from 31 online CBD retailers only 31% were accurately labeled. 43% contained more CBD than stated on the packaging and 26% contained less than claimed. A further breakdown showed that label accuracy was most representative among CBD oils. 45% of oil products contained the CBD amount advertised (within a 10% variance). Label accuracy among CBD vape concentrates was lowest at only 12.5%. Some products tested also contained small levels of THC, which did not appear on the label. 21% of the products tested in the JAMA study were found to contain THC with some concentrations as high as 6.43 milligrams per milliliter. Mislabeled CBD products are affecting consumer confidence. Because people are still learning about CBD, newcomers are faced with a challenge in finding the dosage that works best for them. Mislabeled products make it a lot harder and a lot more confusing. People have no idea if they're taking too little or too much when they can't trust the label. And if you can't trust the label, can you trust the product? And what about other CBD products? Essentially, this discrepancy impacts consumer confidence, turning people away from what could be an effective treatment for what ails them. Of greater concern is a CBD supplement containing higher levels of THC than claimed. While a small amount of THC will have no ill health effects, it does have psychoactive effects that can impact consumers’ functioning in their daily lives, especially if they are not expecting it. They could also fail a drug test having unknowingly consumed THC, thus impacting their livelihood. Can You Trust Any CBD Products? One should not assume that all CBD products are suspect after reading the JAMA study, or that certain CBD companies are unique or even the worst offenders in misrepresenting their product’s contents. Because dietary supplement companies are exempt from FDA regulation, they can go to market with whatever claims they wish on their labels. In other words, this isn't only an issue with CBD products. In 2015 the Attorneys General of New York sent letters to Target, Walgreen, WalMart, and GNC regarding the sale of supplements that either claimed to contain ingredients that couldn’t be verified, or contained ingredients not listed on the label. Overall, just 21% of those herbal supplements tested were found to contain the DNA from plants listed on the labels. It is also important to remember that the JAMA study was performed in 2016 with online companies. While some of these companies may have improved their practices in the intervening 3 years, online companies that send products to all 50 states are harder to provide oversight for in general. States such as Washington, Oregon, Colorado and Nevada have rigorous, state-mandated testing laws that keep CBD companies located in these states more honest. How Will This Change In The Future? With the passage of the 2018 Farm Bill legalizing hemp products, government oversight of CBD companies will increase, especially as they expand. This should lead to a national standardized test for CBD content, which could make CBD labels more reliable in the future. With the growing market for CBD across the country and around the world, companies that wish to remain competitive should want to retain as much consumer confidence as possible. Still, it is important to vet your CBD companies. Do your research and make sure that the companies are well reviewed and trusted. They should also list their testing methods on the website and provide details on where they source their hemp and how it is processed. The companies with the best products will usually be very transparent about their processes because they're proud of them. And they should be. Is Smoking CBD Hemp a Good Idea? The Different Ways to Consume CBD – Which One Is Right for You?